Welcome to the 77th episode of SUPER PODCAST! 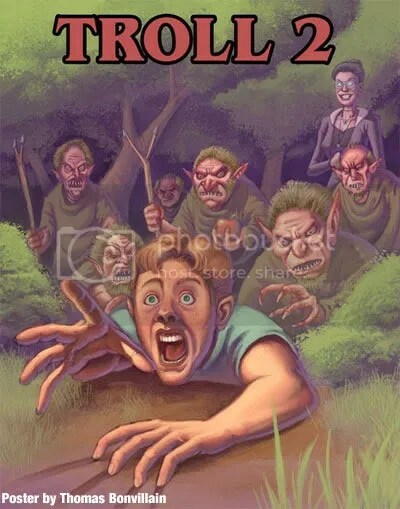 Boy do we have a special show install for you, your hosts Super Marcey and Bede ‘the Terrible Australian’ Jermyn are joined by the one, the only Deborah Reed from Troll 2! Our guest was one of the stars of the now classic film, playing everyone’s favourite character Creedence Leonore Gielgud the Goblin Queen. It was an absolute pleasure to have Deborah join the show, and discuss the film as well as her exciting our endeavors. * We welcome Deborah to the show, Marcey and Bede can’t contain their excitement! * Deborah tells us the amazing story of how she got cast as Creedence! * How did our guest react to seeing the film for the first time? * And of course there is much, much more! Marcey and Bede would like to extend the biggest thank you to Deborah for taking the time out to join the show. What a great movie. I thought Deb’s performance was the best in the movie. Those crazy eyes & gnarly hand gestures. Good times.